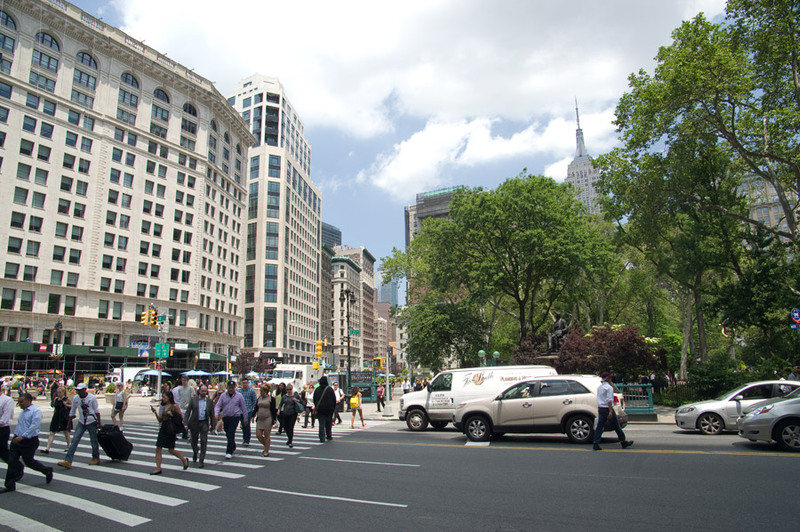 Madison Square Park is located just few blocks west from the Carlton Arms Hotel, nestled between Flatiron and NoMad neighborhoods. First established as the public space in 1686, became a park officially in 1847. This 6.2 acres urban oasis is surrounded by some historical buildings including Met Life Tower, New York Life Building, Appellate Division Courthouse and the landmark Flatiron building, which upon its completion in 1902 was one of the tallest buildings in NYC.